Welcome to the Penny and Ronald Series! Have fun meeting Penny and Ronald, a brother and sister duo. 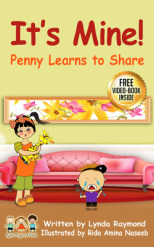 Your kids will get a kick out of how Penny and Ronald work through their normal sibling issues!